Looking for direct admissions in the top notch college in engineering,medicine or management, but you lack in the scores of entrance exams to fulfill the admission criteria. It happens in the competition, some get to the college of their dream and some lack behind due to some marks, sometimes which can be said as the fate or destiny. But here we are providing chance to the students to get direct admission in PES university, one of the top universities of Bangalore. We provide direct admission in PES university through management quota, with vacant seats left during admission. If we speak of quality education then it’s definitely PES university. 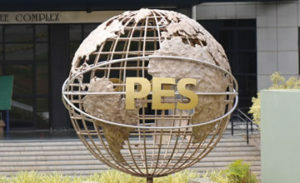 PES university is a private university established in 1972, in Bengaluru. PES offers education in four main areas: Engineering, Medicine, Management and Life science. PES offers the best environment for the student to grow and strengthen himself in their particular choice of field. There are many college festivals held for the student so that they can interact with other students and can have the experience of competing in such environment. Students have their own clubs to strengthen their skills and knowledge. PES have their own research department and offers phd/m tech degree as well. Such quality and environment is here in the PES university, so grab the chance to get direct admission in PES university. Campus Placement – The college has collaboration with many MNC so you get the job opportunity. Companies like IBM, infosys, wipro come here for campus placement. Student Activities – Many college festivals are organised such as Epsilon,celesta,Vistas, and many more. You get a healthy competition to grow. College Clubs – Local student chapter of IET, world’s largest multidisciplinary professional organisation, based in UK,Microsoft Mobile Innovation Lab(Formerly Nokia Lab) and many more. You get an environment to grow yourself into a person with required skills and be part of the industry. For direct admission in PES university through management quota or for any queries you can contact us on 07406010001. We are here to help you in your journey.